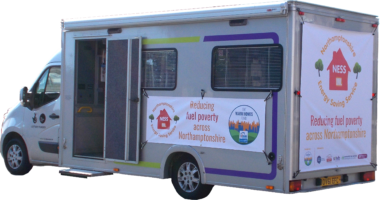 A unique, multi-agency project working to reduce fuel poverty across Northamptonshire. An Energy Comparison Review – a free and impartial review of your current energy supply to show potential cost savings and/or better deals. A Home Energy Assessment – improve the comfort of your home with practical measures to reduce energy consumption. A financial health check to ensure your finances are in their best shape, including advice and assistance with eligibility and applying for grants, benefits or allowances, and/or assistance to help you manage your debts. Information & Advice Pack to help you save money and reduce your utility bills. Gas safety checks, servicing and minor boiler repairs. NOTE: this is a project working to assist those experiencing fuel poverty in Northamptonshire. The project are currently working in Corby, Kettering and Northampton.